University of Houston System regents voted unanimously Thursday to create a medical school. Now, they'll have to convince state leaders that it's the right move. 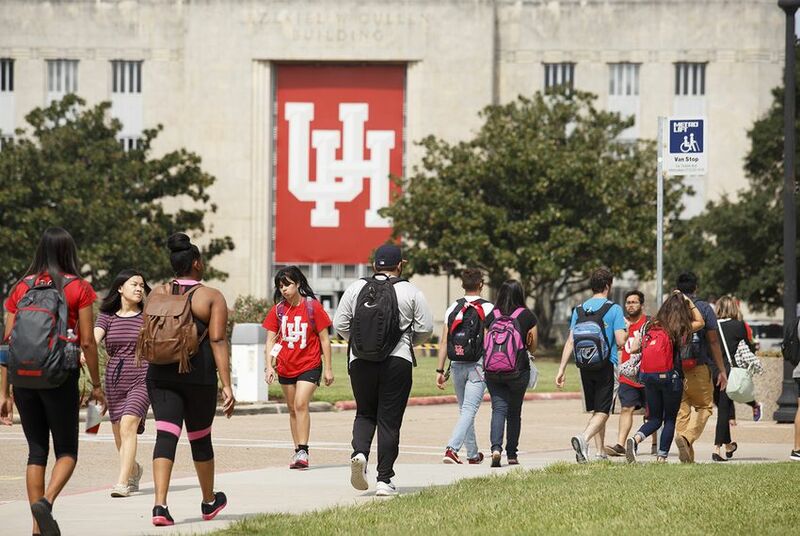 Suggesting it has found a way to address state leaders' worries that Texas is building too many medical schools, the University of Houston System moved Thursday to create a college of medicine for its flagship campus. The decision is the biggest step yet toward a longtime dream for the university. A new medical school would probably grow UH's research expenditures and heighten its reputation as a well-rounded, rising university. But before it starts admitting students and granting degrees, it would need to secure funding from the Texas Legislature and approval from the Texas Higher Education Coordinating Board to offer medical degrees. State leaders have expressed skepticism of new medical schools in the past. "There is a lot of work left to do with legislators today and in the next session, but I am truly excited," Board Chairman Tilman Fertitta told UH Chancellor Renu Khator before the unanimous vote. "I am truly excited. This board is excited. And we will fight on, and we will accomplish your goal to make this happen." If approved, UH would begin admitting medical students in 2020 and grow to 480 students by 2029. The goal, the system says, is to build a school that helps Texas meet its need for more primary care physicians for rural and inner-city populations, and to graduate diverse doctors whose demographics mirror the state. "Our state has a significant, severe physician shortage, particularly in primary care," said Stephen Spann, planning dean for the new school. It's not immediately clear how state leaders will respond given how many colleges have been pushing for new medical schools lately. Since 2009, the Texas Tech University System has opened a medical school in El Paso, and the University of Texas System has opened one at UT-Austin and one at UT-Rio Grande Valley. The University of North Texas Health Science Center and Texas Christian University plan to jointly open a medical school in Fort Worth. And Sam Houston State University is exploring the development of a school of osteopathic medicine near The Woodlands. Lawmakers have expressed concerns that Texas doesn't have enough medical residencies to support those new schools. And if Texas graduates have to leave the state to complete their residencies, lawmakers fear, they'll probably never come back. In 2015, the Texas Legislature allocated tens of millions of dollars to create more residency slots in Texas, which cost about $100,000 each. But lawmakers now worry that the new medical schools will nullify or even outstrip the investment they made in residencies. This year, the Legislature passed a resolution, signed by Gov. Greg Abbott, saying that the state needs a "substantial increase in funding for graduate medical education before it considers authorizing the creation and support of additional medical schools." Legislators also passed a law requiring universities to submit a plan for how they'll address the residency shortage before moving forward with any new medical school plans. UH says it has such a plan: It has signed a letter of understanding with the Gulf Coast division of Hospital Corporation of America to create new residencies in the state. With that agreement lined up, and with a commitment to educate much-needed primary care physicians, the new school will make "substantial contributions to our state to improve the health and health care of our population," Spann said. He said the plan will create 103 new residency positions by 2019, which he said was "just the start." Spann said UH will easily be able to create enough residencies to meet lawmakers' demands. The university will also need to go to the Legislature for funding to help cover some of the $111 million in projected startup costs for the school. Spann said UH hopes to raise about $40 million or that from donors and get $40 million more from the state. The rest will come from revenue produced by the school's intellectual property. Once the school is fully up and running, annual expenses minus inflation will be $33.3 million, school officials said. University leaders said they are optimistic about their chances. UH is scheduled to present a proposal for a medical degree to the Texas Higher Education Coordinating Board in February. In an e-mail, Coordinating Board spokeswoman Kelly Carper Polden said board officials "can't speculate on a proposal that we haven't received." Meanwhile, UH officials expect to apply for accreditation in August 2018. And they described getting a "very positive" reaction from Abbott when they met with him last week. "The time is now," Spann said. "If we are going to get this done, we need to move forward." Disclosure: The University of Houston, the University of Texas System, the University of Texas at Austin, Texas Christian University and Sam Houston State University have been financial supporters of The Texas Tribune. A complete list of Tribune donors and sponsors can be viewed here.